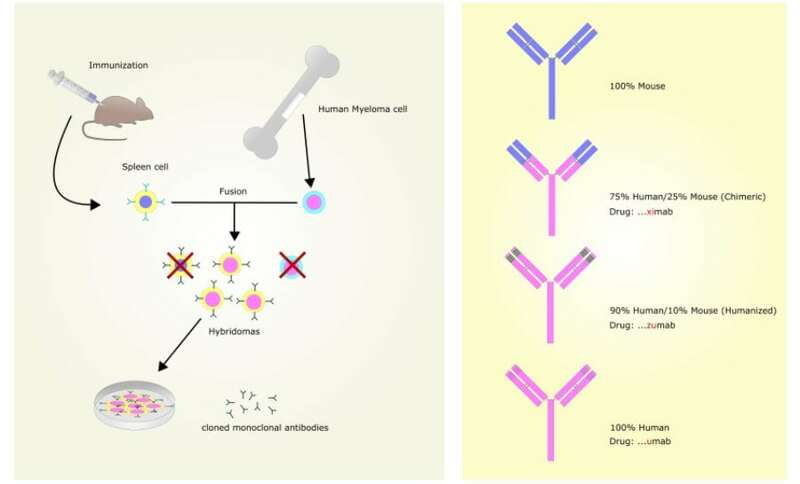 Which antibody to choose, monoclonal or polyclonal ? Antibodies are proteins found in plasma and extracellular fluids and are the first response to infection as well as the main effectors of the adaptive immune response. Secreted by specialised B lymphocytes known as plasma cells (B cells), these glycoproteins are also called Immunoglobulins (Ig). They are generated in response to molecules and organisms (antigens) and have a high affinity and degree of specificity to the antigen against which they were produced. 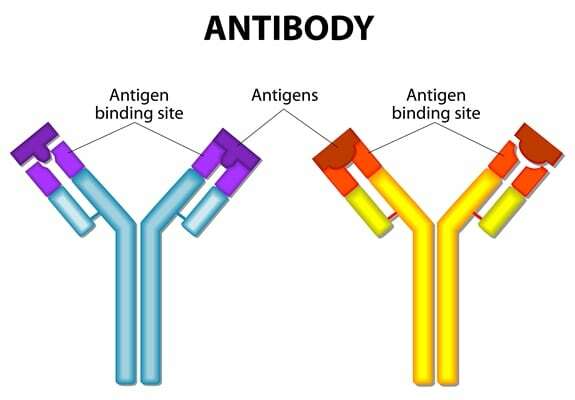 Used widely in science today for research and clinical applications, both polyclonal and monoclonal antibodies have their place.The decision as to whether to use a Monoclonal or a Polyclonal antibody in your work needs to take into account how the antibody will be used and what you want to achieve. This summary may help make that decision easier. -Generates large quantities of non-specific antibodies -More susceptible to binding changes when conjugated. Polyclonal antibodies (Pab’s) are purified from the ascites or serum of the immunised animal, generally via affinity purification columns containing the antigen of interest. They include multiple B cell clones generated by the host animal against all available epitopes on the antigen. The purified antibody will have different proportions of clones specific to each epitope (unique protein binding site on the surface of the target antigen) every time the antibody is generated in a different animal. Polyclonal antibodies are generally produced in larger animals such as Rabbits, Goats, Sheep due to the volume of blood required and their ability to withstand multiple bleed events. These characteristics allow enough antibody to be generated for the production of a reasonable quantity of antibody. The fact that Pab’s contain multiple B cell clones is what causes their inherent batch to batch variability. However, this potential disadvantage can be turned to an advantage if you do not know exactly which epitopes are available for binding in your sample e.g. if your protein has been denatured on an SDS-PAGE gel for detection by Western Blot, distorting some epitopes. In addition, their ability to bind multiple epitopes can amplify the signal due to the larger number of antibodies bound to your antigen, within your system. For the above reasons, Pab’s are often a good choice as secondary antibodies, or as one of the pairs in an ELISA or rapid assay, maximising the signal in these applications. They are also useful if you are ‘fishing’ for antigens in a system as they maximise your chances of detecting your target of interest. Monoclonal antibodies (Mab’s) are, as they say, derived from a single B cell clone and will therefore only bind to the epitope recognised by that clone (generally a single epitope on an antigen). 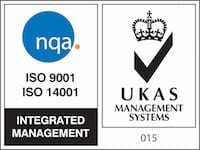 The production of Mab’s is longer and far more involved than that of Pab’s. It entails the fusion of a single splenic B cell with a myeloma cell, resulting in immortal hybridomas, each producing a unique Mab, specific to one epitope. This process takes time and skilled laboratory technicians to perform and then specialist cell culture work in large volume flasks, fermenters, bags or on hollow fibre systems must be employed to generate enough hybridomas from which the Mab’s can be purified. The main advantage of Mab’s is that they are purified from immortal cell lines and so the antibody will in theory always be available with the same specificity and binding efficiency, something not possible with Pab’s. Therefore, when you develop an assay using a Mab, it should be reproducible on an indefinite timespan with consistent specificity and predictable results. The disadvantage of Mab’s is also their main advantage in that they only bind a single epitope. If the target is of low abundance, then further amplification via immunoglobulin specific Pab’s (secondary antibodies) may be necessary to obtain a readable signal. For diagnostic or manufacturing applications where large quantities of identical antibodies, specific to a single epitope are required, monoclonal antibodies are an ideal solution. Their ability to be consistently reproduced makes assay and therapy production viable. However, in general research where longevity of supply may not be so important, but the chances of detecting your antigen of interest must be maximised, polyclonal antibodies are often a better option. They are generally more cost effective to purchase due to their lower production costs, making them the workhorse of basic research.